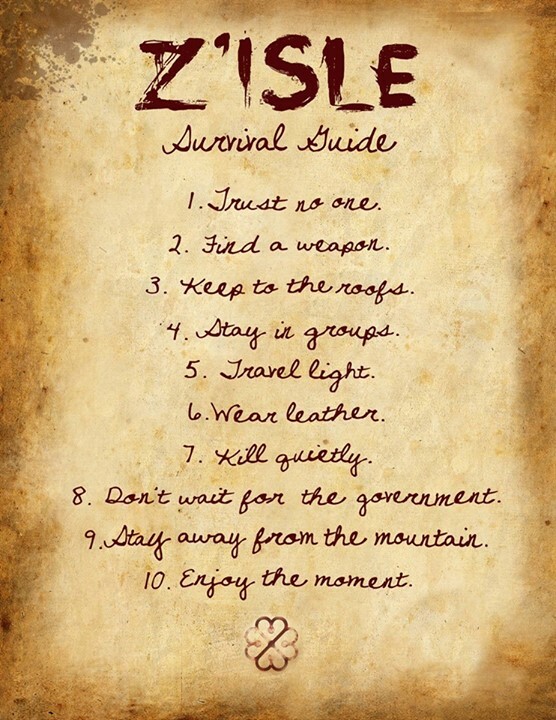 If you are a fan of gore, you will love it, because it features a post-apocalyptic fight for survival against zombies. Not into blood and guts? Z'Isle is about more than gore. If you feel touched by climate change, friends, bikes, transit, mayors, corruption, electrical outages, poutine, routine, language politics, or anything else, then you may be touched by this story. In Z'Isle, we see, in our very own city, how new models of social organization, decision-making, and distribution emerge, taking the place of a system that was destroyed 7 years earlier. I spoke with one of the collaborators about the project. Because zombies are coming, I just had time for quick questions. Midnight Poutine: Which came first: The name 'Z'Isle' or the idea for the comic. Lateef Martin: The comic. Almost a decade ago, we were lamenting the loss of the serialized comic and wanted to do that. So we are! LM: Concept of the living dead...but we wanted to personalize it. 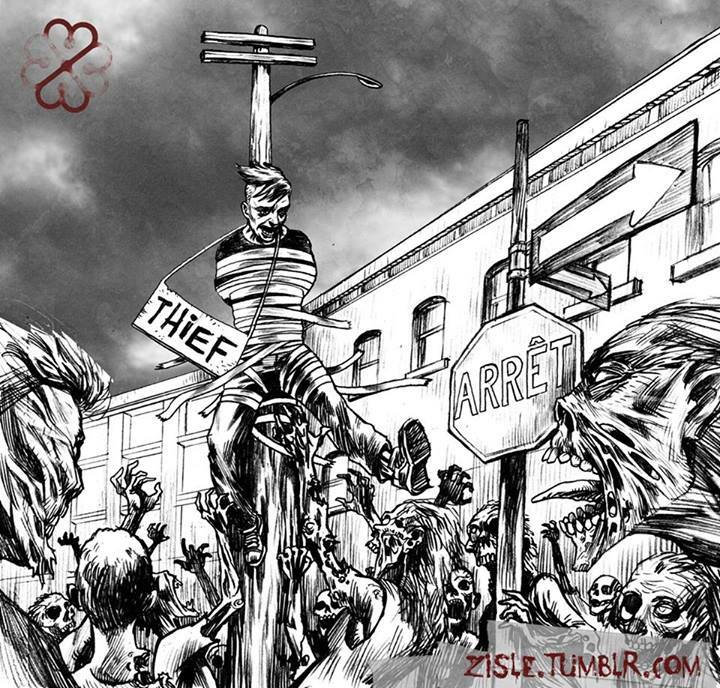 Dan (our illustrator) and I are big fans of the zombie genre, we wanted to add our vision of how things would go in a Montreal setting. Just as the Walking Dead shows you what happens after the credits of your average zombie film, we want to show you what happens...7 years later. LM: Text, though it's a constant back and forth--they feed each other. MP: Which came first: For the scenes in Montreal, a sketch from memory, or a visit to the site? LM: You wanna start a war? It will be a challenge, but we want French and English characters throughout. LM: The all-nighter...with a nap in it. The Z'Isle team invites you to the launch party on November 14th at the Royal Phoenix. It's free, with DJs Roxy Moron and Sweet Daddy Luv, and you'll get a free teaser. You can get all zombified at a make-up booth, and get a portrait done if you'd like...with a prize to the best-dressed zombie. There will be door prizes and raffles of items from the wild world of Z'Isle. Stay in touch with Z'Isle on Twitter, Facebook, Instagram, and Tumblr. the sea creatures from the aquarium into the dessert. Hi mates, its wonderful piece of writing regarding tutoringand fully explained, keep it up all the time. Shoes wife liked, very soft leather, to the whole five-star rating! Already received, it is like the green color is very retro, with very little control or not, but still left! Already received, and then again through a period of evaluation, friends say good-looking, wearing thin legs look. ??,??? MC500-YBK ??? ??????? ???5? ????? I wnted to thank you for this good read!! I certainly enjoyed every bit of it.